Inge was a Godsend. She came up with all sorts of ideas to incorporate our living space and garden into one space which was what I was looking for. She was integral to the building work as she created a detailed landscaping plan for them to build retaining walls, steps, decking area etc. She thought to suggest a side “secret” gate from our driveway direct into our garden as this reduced the walking time to the general “visitors” entrance which was essential in hindsight as with 2 kids, a pram and shopping it would have been a nightmare without it. She listened to my (very specific) requirements but was able to recommend alternatives as well in terms of plant selection that were more suitable. I have a south facing garden but it runs along the side of the original house which is split in the middle rather than down the side so we live in a semi and we have the side garden. We also had the front garden but originally I had wanted some plants complimenting a driveway but decided to create just a driveway. Inge actually wanted me to reconsider but I was 100% decided so she then helped by working with the landscapers to create what I wanted. So she’s very good at making suggestions but listening to the customers view and not being too controlling which some designers do as they forget whose garden it is! I really wanted a well thought out design but not what I call a Milton Keynes roundabout with everything lined up and clinical; I wanted a more random wild feel with beautiful colors and attracting wildlife. She has delivered everything I wanted and more. The garden was an awful mess and is now a haven. Inge Berrie is passionate about the service she offers whether it is maintenance or garden design.Her knowledge of plants is second to none and she always goes the extra mile to find the solution to any problem.I have used Inge’s services on the maintenance side and have always found her and her team to be extremely professional.Inge also offers an advisory service where she visits your garden and then sends monthly alerts regarding the attendance your flowers,shrubs and plants will require.She also offers gift vouchers.What a wonderful present for those hard to buy for amateur gardeners or for Mothers day ideas.I cannot recommend Inge or her services highly enough. I booked an appointment for Inge to visit my garden as I was planning a complete redesign and wanted to ensure my ideas would work. 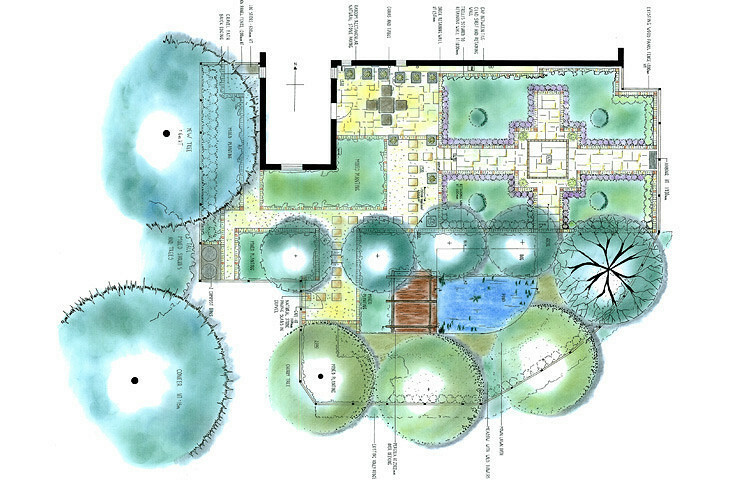 I have a fairly large garden split in two and the redesign was for the furthest part. Inge was punctual and professional in her approach. After explaining my ideas, some of which were fixed, Inge discussed with me a more suitable alternative which not only would save me money and also keep my garden looking interesting. I have taken Inge’s advice and my garden looks wonderful. I shall be calling on Inge’s services again as the lower part of the garden is now in the planning. I have no hesitation in recommending Inge to others as I was so pleased with the work she has done for me. I have been very pleased with the work done for both myself and my parents by Inge of Berrie garden design. In both cases she advised on plantings in mature gardens which had been neglected and required imagination to revive them. In my opinion it is more difficult to work with existing structures and plants to achieve this than to design a new plot from scratch. In my garden Inge also had to compete with the additional challenges of poor soil and shady conditions. Inge planted well designed beds and borders with colour combinations which provide interest throughout the different seasons. She listened to what I and my parents wanted in our gardens and she adapted her designs to accommodate our preferences. She and I were keen to develop a sustainable garden which does not rely on expensive bedding plants but uses plants which are suited to the conditions of each individual garden. Inge has an expert knowledge of plants and made positive suggestions about which plants would suit different environments.She also introduced me to plants I did not know and was very helpful in sourcing them herself. We recently moved in to our new house from living in a flat. We were really happy that we had a garden but had no idea about plants and the maintenance of them! It was all quite daunting as it was a fairly mature garden and didn’t want ruin what was already in place but wanted to know how to look after them and also what would be good plants to get from certain areas of the garden. Inge from Berrie Garden Design has a fab maintenance schedule package. She came to our house, looked at both our front and back garden, took photos of all flowers/plants/trees and as we walked around the garden gave us advice and tips on what we should do and also what plants wouldn’t grow in certain places due to the position of them in the garden. Inge then went away and added all our plants with photos to a maintenance schedule explaining what to do each month as well as other pants that would complement what we already have and to our style. We can certainly say that we are loving having a garden and feeling confident in maintaining the plants. We have already planted a few new plants and can’t wait to see the results next year! We would really recommend Inges maintenance schedule. When I contacted Berrie Garden Design I was looking for advice on suitable shrubs perennials and a new look for the garden without any major changes in design. We used Inge’s advisory service and had a consultation with a full report for us to keep. We are delighted with the result, Inge has been very professional from start to finish. She sourced and arranged the planting of the various shrubs and plants including a winter flowering cherry tree which I can’t wait to see in flower. Our large red cedar coloured shed looked very bright and following her advice it has been painted glossy black with white windows and this looks really stunning as the plant and flower colours and green foliage really show up now against the black and the shed itself is more subdued, it really looks quite stunning. At the side of the shed we had an unused area which is now paved and looks lovely, part of this area is hidden and can be used as a utility area for potting plants and storing soil and fertilisers. Using Inges’advice we have a few hanging baskets on the fence to soften up the appearance. She arranged for someone to plant up the garden as my husband and I are both very busy at work. We found the service to be professional, detailed, and fairly priced. I would highly recommend Berrie Garden Design. Our garden was feeling cramped with mature shrubs in borders in the lawn and in raised beds. Inge really understood what we wanted to achieve and our finished garden is light, open and easy to maintain. The planting is lovely and we have every confidence in Inge’s design and knowledge of plants, she is highly recommended. Inge is a very thoughtful garden designer. I was very impressed with her knowledge of plants, shrubs and all manner of flowers, especially in the Latin! She instinctively knows which plants need which soil, sunlight, position etc. We have a very difficult garden in clay soil and Inge completely transformed our front and back garden to look both colourful and interesting throughout the year, regardless of the soil or weather! I would highly recommend Inge for your garden design. Her attention to detail and her consideration of the requirements is both intuitive and tailored to her individual client. I now have a garden to be proud of. Thank you Inge! Inge is a highly professional and creative garden designer.I have asked inge to maintain my garden and she truly works like a trogen and gets areas cleared that most would take days to do.She has a lovely calm approach and nothing is too much trouble. Inge also offers a 2 hour consultation where she can advise on planting and problem areas of your garden.Berrie garden design have also done work with residential nursing homes and schools. 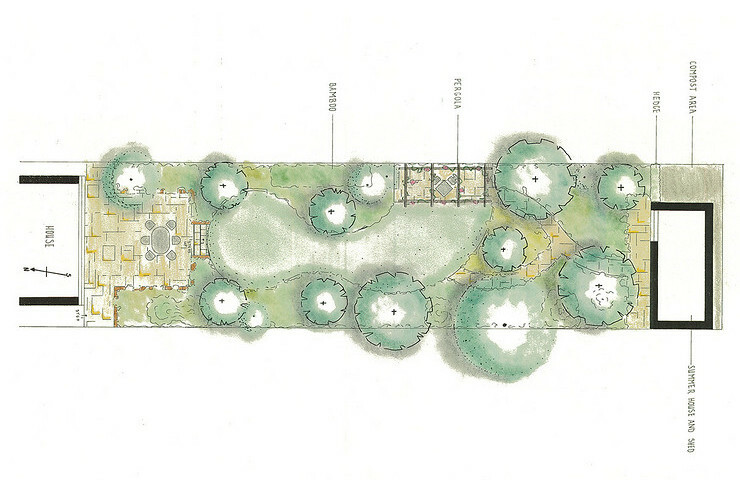 Inge Berrie of Berrie Garden Design is a very talented Garden Designer offering several types of service from advice on specific garden design elements to a full garden design service. She also offers an extremely good gardening service which we have recently taken advantage of. The gardener who normally services the courtyard area outside our flats had not turned up more than once this past year so when Inge and her team moved in an awful lot needed doing…the ivy was overgrown and there were weeds and rubbish everywhere. She quoted for her work, turned up when she said she was going to, worked extremely hard and left with the courtyard looking great. I would not hesitate to recommend her. Inge Berrie provides an excellent service to her clients. She has a beautiful and growing portfolio of designs which are both impressive in there detail and an absolute pleasure to view. I have found Inge to be extremely easy to work with. She is a very good communicater and always returns calls very quickly. 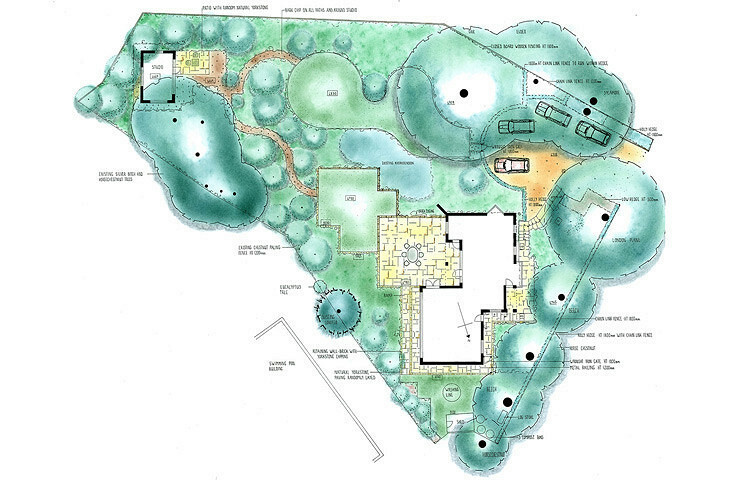 She has a good understanding of the issues involved in implementing the hard landscaping side of her designs, and shows a real attention to detail. Her designs have a real coherence to them which ensures a sense of character, and yet she is flexible enough to make modifications where necessary without losing that essence. Inge is also very knowledgeable about plants and is able to draw up planting schemes which not only complement the overall design but also take account of the factors such soil acidity, levels of sunlight and moisture, which effect the long term success of the scheme. In brief, I would unreservedly recommend Inge to anyone thinking of re-designing their garden.